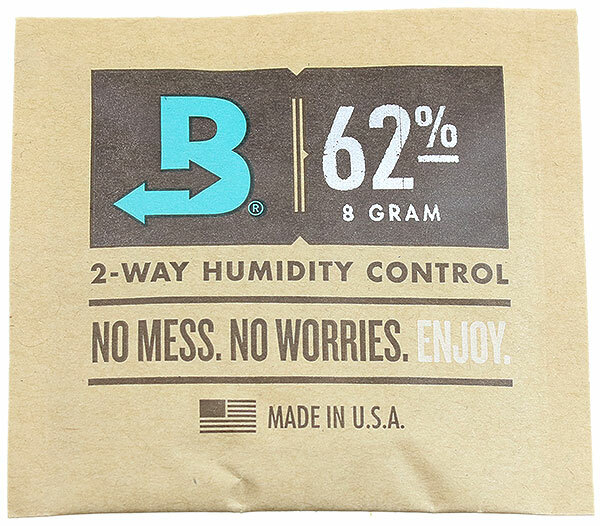 Boveda (pronounced Boa-va-dah) is a two-way humidity control designed for humidors. Boveda is available in five different RH levels — 62, 65, 69, 72 and 75 percent — allowing you, for the first time, to choose your desired RH level based on the type of cigars or pipe tobacco you smoke and your environment. Simply place the Boveda packets inside your humidor to maintain a precise relative humidity. Each Boveda packet will care for 25 - 40 cigars depending on your humidor and the natural climate of your home. Boveda provides a clean hassle free way to protect your most prized smokes. This 8g packet is designed specifically to fit in Cvault Tobacco Containers, allowing you to control the humidity and moisture levels of your pipe tobacco as well as your cigars.